Any product purchased in the home appliance stores tends to deteriorate. Regardless of the device model and country of manufacturer of the equipment have to be taken apart to determine the cause of failure. If you are a qualified technician to repair equipment, the basics of Assembly and disassembly will have to learn from the mistakes of others. The most common problem is audio devices and domestic use - spike the bad contacts, which are connected thin wires. In particular, this occurs during prolonged operation of the speaker at high volume. Two-way satellite speakers are much more likely to be damaged. The fact that the connecting wires of the tweeter (the small speaker - "beeper") is very thin. Their thickness is 0.75 mm. Under the influence of low frequencies (bass) wire can be disconnected only by a loud sound or booming bass. Simple models of audio systems you will be able to disassemble with a screwdriver. For this you need to Unscrew the screws on the back of the speakers, using a thin Phillips screwdriver. You also need to distinguish between the slave and the leading column. The slave is column number 2 (secondary), and includes leading case in all regulators, small transformer, etc. (is the main). Be careful, examining the leading column, since the back cover generally, disconnect will not be easy. This is due to the fact that the speakers are soldered to the front and tie them there. Some manufacturers of columns can glue the parts of the hull or bonding straps. To help you come to a penknife, it is desirable that the knife was strong. The connection brackets is the strongest connection. There are also options of joining walls and columns below, you must first Unscrew the legs of the columns and then connecting the screws. Each of us appreciates and loves his stereo system. And the most unpleasant when you go down one column. To change all the acoustics don't want to, but no one in the column effect is not the same. Well in this case you need to take a soldering iron, a screwdriver and start fixing them refuse to work part of the system. the state of the membrane. In each case, there is an option to "revive" column on their own. It is also worth remembering that a breach of the hull speakers may cause noise and extraneous sounds. Condensation on the membrane can be removed by heating it under an incandescent lamp. Remember to wipe the membrane can not, the slightest disturbance of its shape may result in the loss of sonic qualities. The disruption of the membrane, you can try to repair by replacement. To correct the form, worth a try if there's no other way, but do it very carefully. Dust dynamics, it is better to remove with a cotton swab and alcohol. Wind the wool on the tip of a long stick or post, soak it in alcohol and start cleaning. If you found detached from the diffuser wires, need to solder. After spaete everything in place, reinforce them with epoxy or glue. Duct tape is a strong option for dynamics. The worst option, if "led" magnet. In this case, repair the column only by replacing the magnet. To find a suitable magnet, can be harder than replacing the speaker as a whole. What was it column, the problem is complicated. It is better not to close the "gap" and to change the whole wall. For this you can use a plastic plate, a wooden Board, or metal. Not an easy task, the integrity column should be perfect, otherwise the sound will be lost. So after a new item is ready, pre-process locations of the new joints silicate glue or epoxy. If the loudspeaker produces noises, he could prohoditsja. To seal speaker, enough glue "Moment" and a piece of cloth or bandage. If the damage is considerable, without a soldering iron will not do here. Prepare a bandage or fabric, embellish it under the color of speakers. Next, apply the fabric glue and carefully glue the inner and outer sides. If you are afraid to hurt or not to glue, glue only the outside. Correct tweezers or a scalpel. Wait until the glue dries. If the problem speakerand more than the hole in the fabric, here is the next instruction. First you need to unsolder all live wiring from the terminal block. Acetone is sprayed over the cap in the center of the diffuser. Once the glue is dissolved with a scalpel to gently heave and throw away the cap. The same steps repeat with the centering washer. Now with acetone detachable suspension of the diffuser. Once separated, remove the diffuser with centring washer basket. Now we have to rewind the coil. If the coil is open at the base, you will first need to solder, but do not speak for the base. When everything is ready, you can start rewinding. To do this, insert a tube of suitable diameter into the coil and rewind the old coil, noting the number of turns. The coil is lubricated with a "Moment" and wound the new wire. Then solder the new coil to the patch and you are ready to build. Clean the basket and insert the diffuser. Through the film and center the coil (film rolled into a ring and inserted between the core speakeras the coil). You first need to glue the suspension of the cone with glue, and after drying of the suspension centering washer (be sure to press the place of bonding). Once the glue has frozen, tear off the film and check the progress of the coil. If all goes well, attach the protective cap and put it somewhere column at the time of complete drying. If the scan crackle of the coil, that will have to detach and again to check the coil or the spacer washer. In principle, this entire process. 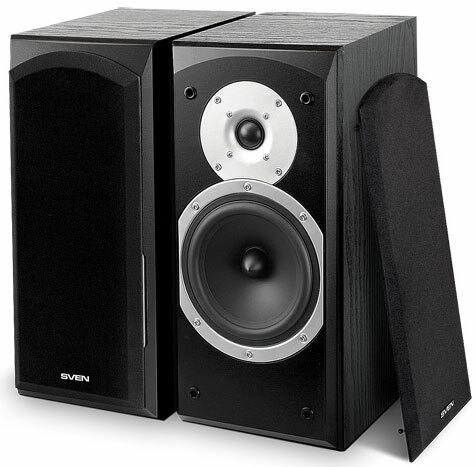 Speaker it is advisable to check for nominal power. 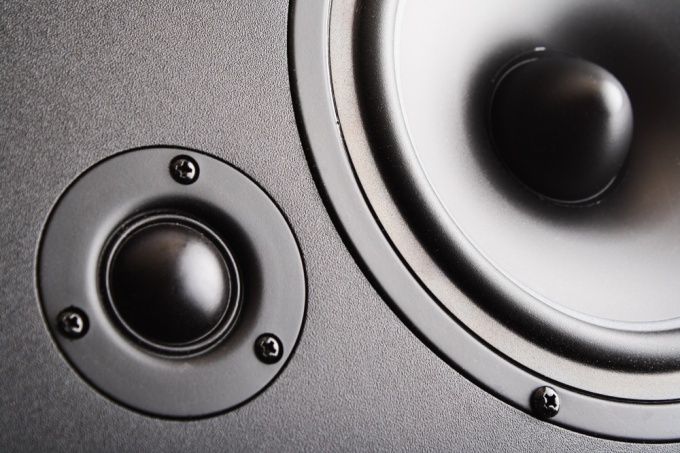 If you find a hole in the diffuser of your subwoofer, do not rush to find a speaker to replace. 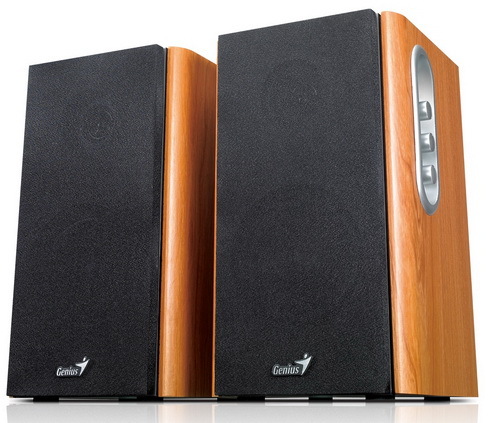 Such damage is successfully repaired and do not have a significant effect on the subwoofer. Unplug the subwoofer from the amplifier. Remove the grille from the speaker and Unscrew the mounting screws on the speaker. Carefully remove the speaker from the enclosure, disconnect the speaker wires. Inspect the speaker cone, make sure that the flexible is not damaged insights of the voice coil. Using scissors, cut out thin cardboard patch of a suitable size so that it's at least an inch in each direction overlaps the hole. The cardboard will fit any, you can use a cardboard box from chocolates. Very often the form of the diffuser is formed by a surface of double curvature. In this case, you can make 2 or 3 patches which is better to glue to one another overlap. Align the edges of the damaged part of the diffuser from the back side soaked with glue "Moment", the paper material of the cone and wait till the glue dries. Prepare pre-cut patches. Liberally glue the damaged area of the diffuser from the back side and immediately apply the patches in turn. The goal is to saturate the glue join the parts. Take the patches from the diffuser, but not remove them. Wait 20-30 seconds and apply the patch back. Retighten them to the diffuser from the back side by placing a cushion of cotton wool or synthetic padding inside the basket of the speaker. Make sure that the diffuser wasn't tapped on the place of gluing, in General, find the optimal clamping force patches, maintaining the initial shape of the diffuser. A day remove from the cart dynamics support cushion and see how the glued connection. If you find not glued region, hold the nozzle of a tube of glue "Moment" to the gap, gently press on the tube and press it in a little bit of glue. The goal is to eliminate chatter during operation of the speaker. Gently heat the glue seam with a hair dryer until the glue boiling, take a Hairdryer and pinch the place of gluing. Hold at least a minute after the glue is grabbed, and his strength will be enough to hold the patch. Gently move the diffuser in and out. Make sure that when driving it does not touch the coil for the magnet. If necessary, replace the o-landing gum, connect to the speaker speaker wires and install it into place. Make a test power on with low volume, make sure that when working there is no bounce. Gradually increase to maximum volume, listening carefully for the absence of resonances. If no sounds are detected, install the grille. 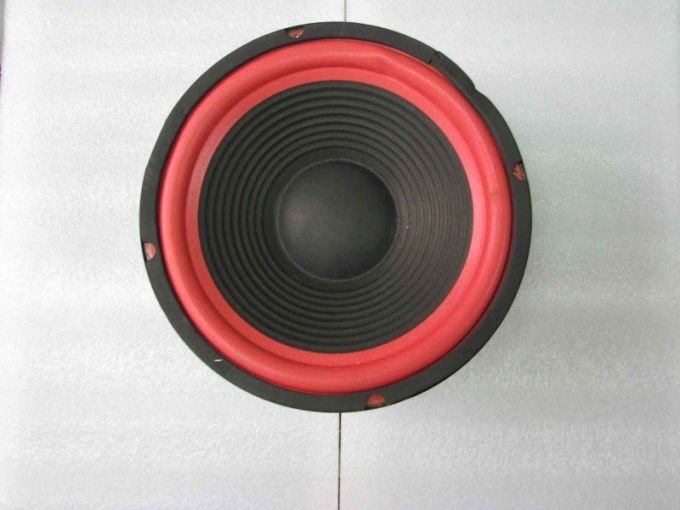 The equivalent volume of the subwoofer is the volume of air, the elasticity which is comparable with the elasticity of the suspension subwoofer. This value is determined by the stiffness of the suspension and the diameter of the speaker cone. Disco speakers is exactly the kind of thing where unlike choosing speakers in the car makes sense to pay attention to the size of the magnet. Especially if You are interested in powerful sub. For this it is necessary to have a large diffuser or allow it to move within a large stroke. 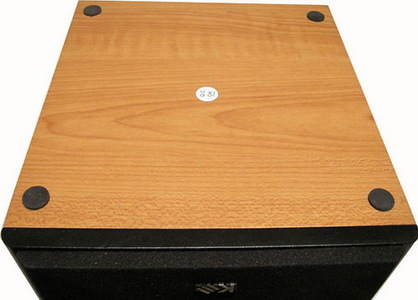 Conventional subwoofer diffuser is quite easy to achieve acceptable efficiency, and to achieve a low resonant frequency suspension should be soft. Soft suspension, in turn, means a large equivalent volume Vas, that is, a speaker requires a large enclosure. If the speaker is out of order, this does not mean that we need to throw it away and buy a new one instead. You can try to fix it. 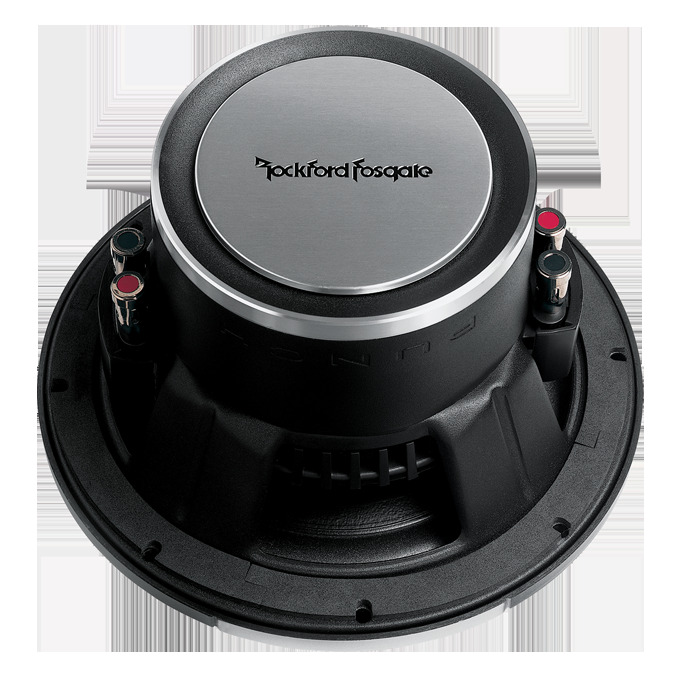 There are several main causes of breakdowns of the speakers and some basic methods of their repair. Identify the cause of the failure of the speakerand to be able to restore it. The main causes of failure can be a blockage, a break of the diffuser, a breakthrough of the membrane, the separation of the contacts of the coil from the cone speakerbut the failure of the magnet (lead magnet), combustion coil. In some cases you will be able to fix the dynamics of their own, in some of the best to take it to a service center for warranty repair (if possible) or buy a new one. Pay attention to the sound of a speaker. If there are any noises, noises or hum, may be a cause of failure lies in faulty diffuser. 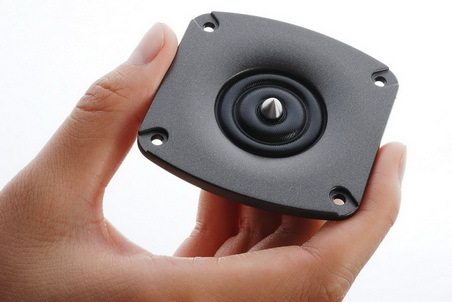 Remove the mounting screws, remove speaker from housing speaker. Remove it carefully so as not to damage the pins that go from it to the protective circuit with a frequency filter. To make it easier to restore the speaker, unsolder it from these contacts. Inspect the diffuser for the presence of breaks, holes, etc. Also note on the membrane, but rather on its integrity. If breakthrough there is, take a piece of cloth of medium density. It is important that it was plastic. Take the glue viscous consistency (super-glue will not work). Seal a breakthrough. Inspect the docking speakerand the coil. Take a cotton swab, dip it in alcohol and remove all dirt on the back speakerand because it can also have a negative impact on his work. Check the integrity of contacts coming from a cone speakerand to the coil. If they are broken, solder them to the remains of the contacts and / or extend and secure again directly to the diffuser. To do this, use a thin sewing needle and fine thread. After flash contacts, glue them with glue viscous consistency. Check for a speaker. Turn it on low volume, gradually increasing it. If upon reaching a certain volume, it stops playing, or starts to wheeze in a diffuser and the membrane, then, most likely, fell off the winding reel. Rewinding it yourself is very difficult because of the huge number of turns that have to wind manually. Think, perhaps, it makes sense in this situation to just buy a new speaker.